Brazos McPeek, a student at Hill College in Texas, has received a $1,000 scholarship from Phi Theta Kappa (PTK) and the International Public Safety Leadership and Ethics Institute (IPSLEI). The Richard L. Resurreccion Public Safety Scholarship program provides scholarships exclusively to Phi Theta Kappa members who demonstrate potential for excellence in the public safety field while enrolled in a regionally accredited associate degree public safety program. McPeek served as president of his high school’s 4-H Club and developed an early love for nature. Then, when the West Fertilizer Plant explosion rocked his community in 2013, he witnessed first-hand the positive leadership of local first-responders and became interested in a career in law enforcement. After completing his associate degree at Hill College, McPeek plans to pursue a bachelor’s degree in natural resources management conservation law at Texas Tech before applying to the Game Warden Academy. He hopes to become a game warden for the Texas Parks and Wildlife Department. The Resurreccion Public Safety Scholarship was established by IPSLEI and Phi Theta Kappa in 2012 and named for Dr. Richard L. Resurreccion, Professor Emeritus of the College of Health and Human Services at California State University, Long Beach. Dr. Resurreccion is a member of the ISPSLEI Board of Directors and has 47 years of teaching experience in the first responder field at the secondary, two-year college, military and university levels. IPSLEI brings the concepts of leadership and ethics to the forefront of an individual's career, rather than waiting until a person is promoted into a supervisory position. This program is based on the belief one need not be a supervisor or manager to understand leadership principles and contribute to the leadership process. 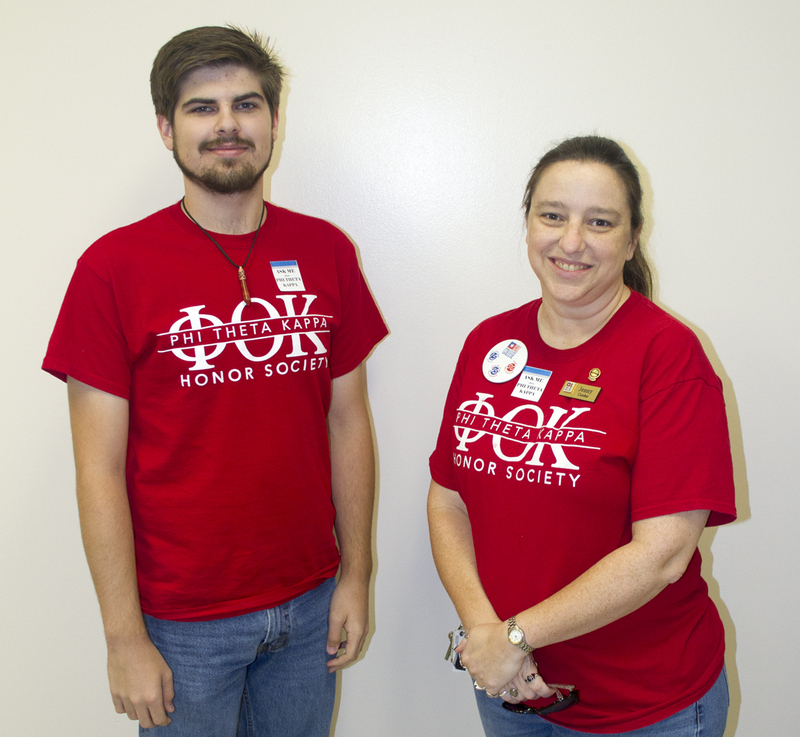 Phi Theta Kappa is the premier honor society recognizing the academic achievement of students at associate-degree granting colleges and helping them to grow as scholars and leaders. The Society is made up of more than 3.2 million members and nearly 1,400 chapters in nine nations. Cutline: Brazos McPeek with Xi Nu chapter faculty advisor Ms. Jennifer Corder.